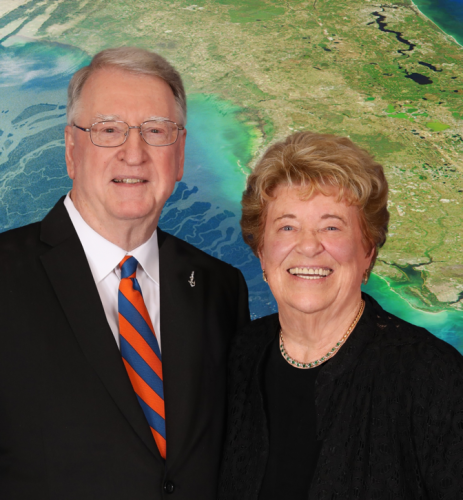 This Institute is the vision of Jon and Beverly Thompson of Ft. Myers, Florida, and will now be realized thanks to their generous gift to the UF Foundation. Mr. Thompson, a University of Florida alum (BS and MS, geology), is the former President of Exxon-Mobil Exploration Company. As a retired teacher, Beverly (MEd) continues to pursue her passion for K-12 education, which will shape the next generation of scientists. The Thompsons are grateful to UF for “making an impact on their lives” and for the opportunity to continue a legacy of science education within a world-class institution.